Before lifesource, our water had a horrible taste. Now, it has improved 100%! We wanted to have the freedom to drink from any faucet in our house, and we got it! I installed my Lifesource system because I wanted clean, convenient water for my household, including my doggies. Thanks, I love it!! I installed my Lifesource system because we had very hard water and we though it would help our child's eczema. Better for my skin and hair! I installed my Lifesource system because I wanted softer skin and hair as well as better tasting water. I installed my Lifesource system because I got tired of cleaning all the faucets and I wanted a more secure and healthy water. I installed my Lifesource system because I wanted to obtain soft water free of harsh contaminants, suitable for drinking from the taps. I installed my Lifesource system because I wanted a maintenence free, salt free, filter-changing free healthy water system. I couldn't take my old water anymore! 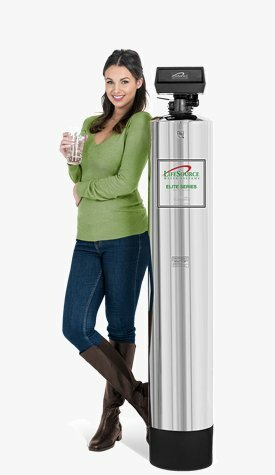 I installed my Lifesource system because I could no longer handle the salt from my old softener due to my age and physical health. 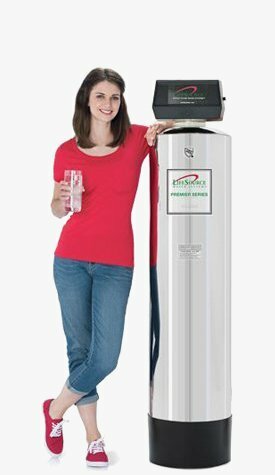 We installed my Lifesource system because we wanted healthful freaking water and we didn't want to deal with any more escalating monthly fees! The service was excellent. The service men were professional, skillful in their craft, and clean. I was impressed. Thank you for the electronic manual and the warranty card in the mail. My old water softener has been picked up. I appreciate your promptness and professionalism in addressing my issues. We are enjoying our pure water! We got our LifeSource water filter just about one month ago and we have found the water to taste better and makes our drinks better. Our skin does not feel dried out and our hair feels softer and seems to be more manageable. We are so pleased with the water system. It was a great experience to purchase LifeSource and we are extremely happy about having the system. Nathan did a fantastic job and the service was rapid response! We're pretty happy clients - your sales, office & installation staff have all been really good. We're very happy with our Water Filter water treatment system. Water quality improvement has been dramatic. It's really too soon to give you a report on the descaler, although my initial impression makes me optimistic about it. It wasn't easy installing, but your guys did a really terrific job - good design for functionality and easy future access to the replaceable filter, and beautiful pipe work. Before Lifesource, I was aware of all sorts of problem with my water. I was in a pickle, either face the dangers of consuming reverse-osmosis water, or face the problem of consuming the chlorine that came without RO. I did some more research, and everything pointed to Lifesource water. Everything about your product - your phone staff and your representative, Jonathan Kaye - I like very much. Especially Jonathan - he respected our time, he was knowledgeable about your system and gave an excellent presentation. With your system, we have experienced an immediate vast improvement in our water quality. We're very happy with it. 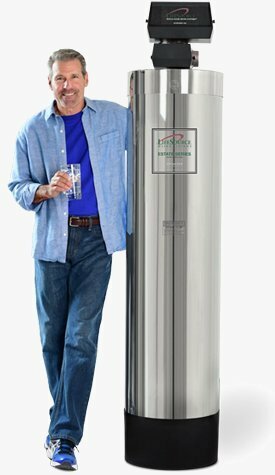 After having done a bit of research on the best whole house water systems, I am so glad that I came accross the LifeSource website. My husband and I absolutely love our water now and we love the fact that our son is able to drink much safer and healthier water thanks to our LifeSource Water System. I am a homemaker and I am always washing my hands to the point that my skin starts to crack. Since we got our new system, my hands feel great and are no longer drying and cracking like before. The water tastes great and feels great on our skin and hair. Thank you LifeSource for a great product and for great customer service! Just wanted to let you know that we are enjoying our life source system... The fact that we can actually drink our tap water now is nothing short of amazing!!! Thanks a bunch!!! Wish we purchased this system years ago! 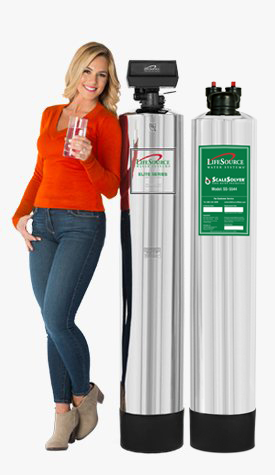 We are able to drink our tap water since the installation of our LifeSource water filtration system. No more Bottled Water for us. Showers are also much better. We should have purchased your system years ago. I love that it's no maintenance & the water tastes great! My only regret is that I wasn't aware of lifesource 30 years ago. We were very surprised as to the quality of the water and how quickly we had it. As this system was recommended to me, I will certainly do the same for others. Both my wife and I are just amazed as to the quality of the water as it filters through the LifeSource system. Our only regret is that I wasn't aware of the system 30 years ago. We do have one request and that is, Do you have any LifeSource water bottles? As both my wife and I workout daily we would love to discard our normal smart water bottles and replace them with LifeSource water bottles, if you have them. I have recently become aware of plastic water bottles and their ratings, 1-4+ regarding re-use. Thanks for your help Claudia! When we started using Lifesource water, it was about 2005 at our 1st home in Calabasas. When we got that equipment, our life totally changed, I can explain why, all our faucets have pure water so we can drink at all faucets at our home. When our family takes showers, we don’t have any spots on glass shower doors. This water is also is good for skin, (my wife loves it). After we moved to new house in 2011 we rented out our previous home and we didn't remove equipment because our tenant loves the lifesource water. A year after we moved into our new house without lifesource equipment, we started having water problems. So I called customer service for new equipment. Right now my family loves this and we enjoy the water at our new house. The other important matter is this LifeSource is good for all plumbing pipe. That is a good reason we never removed our system from our previous home. Again thanks from lifesource to provide this equipment for our homes. Thanks again and appreciate for your business. Lifesource service guy, Joe if I remember right, showed up on time, took care of my problem, fully explained everything I wanted to know. He was polite, professional and friendly. I could not ask for more. Just wanted to send a quick note after having our 1620S system in place for about a week now. We've seen a great improvement in the softness of our water. Our first showers were a significant awakening....don't realize how hard things are, until it's not hard any longer! Water tastes better as well! Thanks again and thanks for the great customer service for ordering the system! The serviceman was very professional explaining all answers to our questions along with patience when we were not sure about what we should ask. Joe was great! We did not want a water softener, our family does not like to waste water. We just purchased a new home and wanted clean, filtered water throughout the house. We found the lifesource system to be a good investment. My family gets clean, healthy water throughout the entire house. I don't have to worry about where the water is coming from and what is in it. And my son LOVES telling everyone you can even drink out of the toilet!!!! A very happy family! We are loving life source because now our water tastes good! I am glad to share my thoughts about your company's performance. I would rate it EXCELLENT all around; from sales to install to follow-up! I have been very pleased with Nathan Anderson's performance and closure abilities. He is very reliable and I trust him implicitly. Richard Benjamin is likewise totally competent and such a hard worker. He really knows his stuff and you can count on him getting the job done regardless of the difficulties. They have had a difficult install on my well in Saratoga and have really worked hard to get the system right. You can use me as a reference for your company and I have nothing but praise! !